i-MBA > Newsletter Posts > Issue 1 - March 2017 > To our Students with Digital Love! To our Students with Digital Love! i-MBA’s digital strategy stood out at the Social Media Awards 2016 and the e-volution Awards 2017. 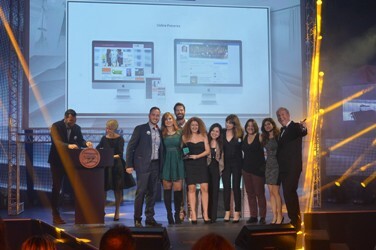 More than 700 executives attended the Social Media Awards ceremony which took place in Athens on November 8th, 2016, in which i-MBA received the Silver Award in the Category “Best Use of Social Media – Education“. The e-volution Awards ceremony took place on December 9th, 2016 at the Megaron Athens International Conference Centre. i-MBA received the Bronze award in the category “Strategy & Internationalization – e-Strategy“. 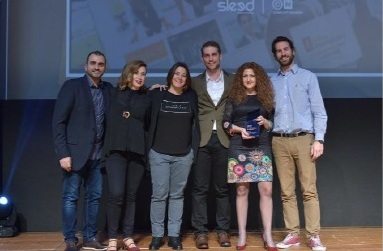 The award winning case, entitled “To our Students with Digital Love“, was submitted in collaboration with Sleed, the i-MBA digital partner. The case emphasized on the innovative and creative components in the design and execution of the social media campaigns run by program during the academic year 2015-2016. Details on the campaigns’ performance were also measured and reported.